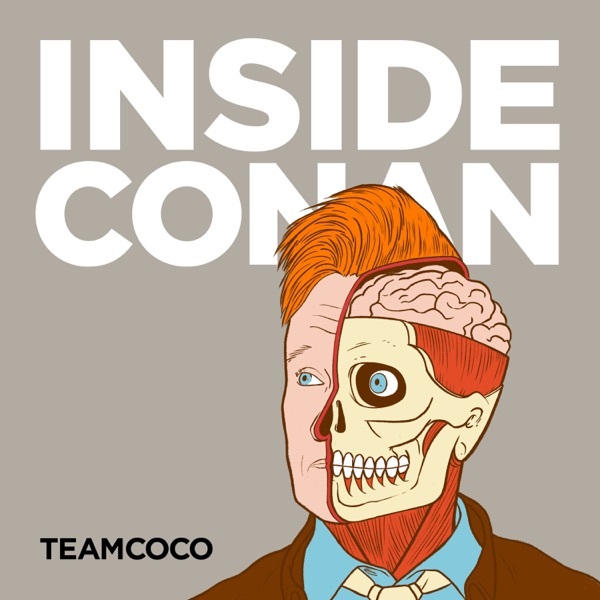 Give your eyes a rest and consume CONAN in audio-form! The CONAN Podcast features weekly highlights from monologues, comedy sketches, celebrity interviews, and stand-up sets. PLUS: Podcast-exclusives featuring Conan, Andy and more of your favorite CONAN staffers. Introducing: "Conan O'Brien Needs a Friend"
Carol Burnett On Hollywood Sexism, James Comey On Beyoncé & More! Jim Jefferies' Horrifying Health Scare, Tracee Ellis Ross' Met Gala Experience & More! Tracy Morgan On His Crack Dealer Past, Aubrey Plaza On Being More Famous Than Joe Biden, And More! The "Avengers: Infinity War" Cast On CONAN, Dana Carvey On The Bush Family, And More! Jim Carrey Crashes Jeff Daniels' CONAN Interview, January Jones Confesses Her Love For Dwayne Johnson, And More! Dax Shepard & Kristen Bell's Prenup, Hilary Swank's Italian Language Lesson, And More! Armie Hammer's Arrest Story, Sean Penn's Bizarre Expertise, And More! Bill Hader's Last Minute "SNL" Monologue, Judd Apatow's Locker Room Experience, And More! Jeff Goldblum Debunks Palm Reading, Ron Funches Gives Away Money, And More! Kevin Hart's Super Bowl Story, Martin Short's Al Pacino Encounter, And More! Nick Kroll & John Mulaney's New Business Ventures, Anna Paquin's CrossFit Nickname, And More! Nicole Byer's In-Flight Poop Story, Bill Burr's Super Bowl Reaction, And More! Martin Freeman Talks British Stereotypes, Two Comics Make Their CONAN Debut, And More! James Franco & Ari Graynor Talk "The Disaster Artist," Ed Helms Transforms Into An Old-Timey Southern Lawyer, & More!